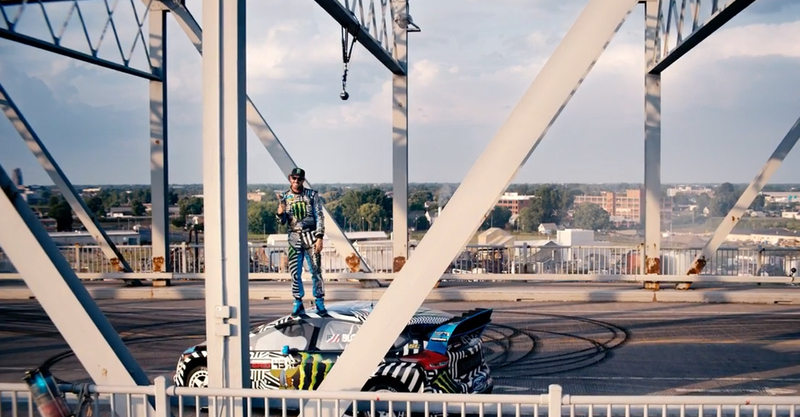 (13 September 2016) When professional stunt driver Ken Block was looking for a raw industrial playground to shoot his next Gymkhana video, he sent his producers to the Buffalo Niagara Film Office who gave them more than they ever could have imagined. Starting at the Central Terminal with a journey that spanned a railroad in Eden, to the NFTA Waterfront Terminal, and ending on the elevated South Park lift bridge, Block takes viewers on a ride that they won’t soon forget. With support from City of Buffalo Mayor Byron Brown and his department of Public Works, Mark Lewandowski and the Central Terminal Restoration Corporation, the Niagara Frontier Transportation Authority, and the Buffalo Southern Railroad – Western New York rolled out the red carpet for Block and his crew to make Gymkhana 9 a come to life. Production Company Hoonigan employed over 100 local professional crew members along with a large out of town contingent. Helicopter stunt at the NFTA Terminal Building on Buffalo’s waterfront. 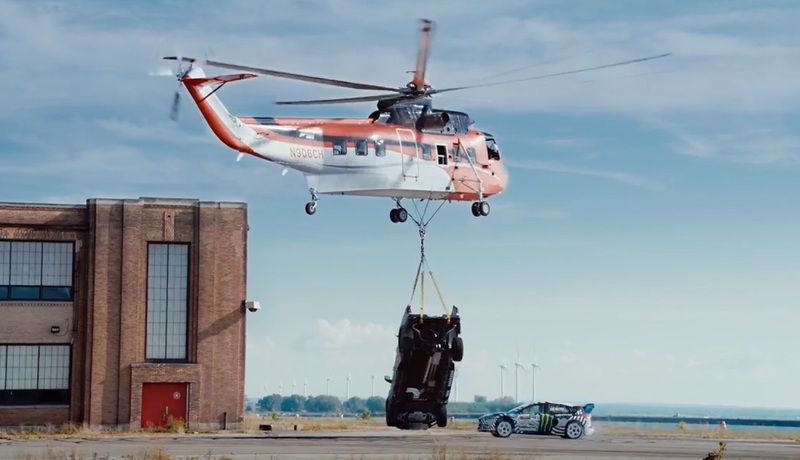 Ken Block’s Ford ready to launch from Buffalo’s Central Terminal. The exposure this video has received has been immense. As of September 23rd over 11 million views have been recorded on YouTube. Gymkhana Nine was presented by Hoonigan and Forza Horizon 3 along with support from the Ford Motor Company and Monster Energy Drink.